The 3.9 million 50s pensioners have a great opportunity to get their views across at the local elections to be held on Thursday May 3. Elections will be held in all 32 London boroughs, 34 metropolitan boroughs, 68 district/borough councils and 17 unitary authorities. There are also elections for mayors in the London boroughs of Hackney, Lewisham, Newham, Tower Hamlets and just outside London in Watford. Local elections are of course about local matters. However the performance of political parties at local elections is always judged by the media as a snapshot of national voting intentions. Also the attitude of local councillors towards the plight of women denied their pensions for up to six years could well be symptomatic of their attitude towards other injustice issues. You can do this by first getting on top the House of Commons library constituency estimates of the 3.9 million people affected here. Go to the end of the summary and download the constituency estimates ( You will need Excel on your computer).Then look up your constituency and the total number of people affected. You will find it is thousands in your constituency. Next go onto the Wikipedia link at the end of the report and see if your council has elections. Then go on to the council’s site and chase up your ward councillors. Challenge them to put pressure on their MP to get government policy changed so you will get your money. If they refuse vote for the nearest challenger who will. So where are the key places where 3.9 million women can make their votes count. Here are some good examples with all the links set out for you. In London where all the seats are up for grabs, the most obvious place to register a protest vote is Barnet. There are 18,200 women affected in the borough and the council is narrowly Conservative who oppose any change or concessions to the women. The ruling Conservative group has a majority of one (32 Conservative, 30 Labour and one Liberal Democrat) in 2014. You can check the result for the ward you live here. Another is the London borough of Hillingdon where there are 16,100 women affected and it is represented by two high profile MPs, Boris Johnson, the foreign secretary, and John McDonnell, Labour’s shadow chancellor. The current council has 42 Conservatives and 23 Labour. You can get a ward breakdown here. And for a different slant the Royal London borough of Kingston has 12,000 women affected (though some are in Richmond) and a council with 28 Conservatives, 18 Liberal Democrats and 2 Labour councillors – a Conservative majority of eight. You can check your ward here. Some of you may find yourself in Richmond as Tory Zac Goldsmith’s Richmond Park constituency straddles both boroughs. Conservatives have a bigger majority in Wandsworth with 41 seats topping Labour’s 19 and there are 11,900 women affected living there. You can find your ward here. A longer shot is the London Borough of Bexley which has 45 Conservative,15 Labour and three UKIP councillors. But it has 15,200 women affected. A run down on your local ward councillors is here. .Milton Keynes in Buckinghamshire is currently not under any party control. It has 25 Labour councillors, 18 Conservatives, 13 Liberal Democrats and one UKIP councillor. One third of the council is up for election. There are 14,400 women affected in the borough. So it will provide an ideal opportunity to put all the parties on the spot. You can check your ward here. Calderdale also has a third of the council up for election. The council which covers Halifax and the surrounding area has 12,900 women affected. The council is also not under any party control. The council has 23 Labour members, 21 Conservatives , 5 Liberal Democrats and two Independents. You can find your ward here. The full list of councils where elections are being held is here. They include big cities like Manchester, Birmingham, Hull, Leeds, Liverpool, Newcastle upon Tyne as well as smaller places like Hastings, Gosport, Portsmouth, South Lakeland, Maidstone, Huntingdon and West Lancashire. 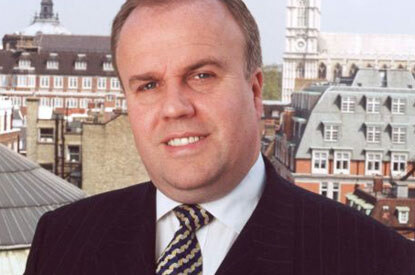 The emphatic defeat of Brian Coleman in the London Assembly elections – a larger than life bully in true blue Barnet – was one of the defining features of the London Assembly elections. 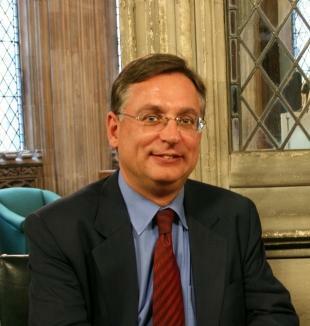 He was knocked out of the seat by Labour comeback kid, Andrew Dismore, an “awkward squad” former MP for Hendon, whose campaigning skills and determination when he was a MP was well-known in Parliament. So he shouldn’t have been surprised that Dismore would pursue every voter. But there is no question in my mind why 2012 was so different to 2008 for Brian Coleman – apart from the political climate that favoured Labour last night but also saw Dismore perform far better than Livingstone. Coleman had a unique skill to anger nearly every group in the borough – whether the small shopkeeper, the motorist,home owners (over parking),the local firefighter, the trade unions, struggling single parents, religious groups, journalists, – and when there was a chance to throw him out they could hardly wait to do so. But he had relied on a cash strapped local press to bully his way often unreported and rarely held to account by his local Tory group, who seemed to live in ” shock and awe” of whatever he said next. But the difference between 2012 and 2008 is that he couldn’t get away with it so easily – because of the rise of the blogosphere. Five local bloggers including a larger-than-life figure blogging as Mrs Angry;a guy with a head for figures – Mr Mustard; John Baldy and the Barnet Eye and Barnet Bugle took him on – and wouldn’t let him get away with it. I should also add – Mr Mustard has reminded me -Mr Reasonable and Vicki Morris. He also faced a pretty lively campaign from the Fire Brigades Union – both in Barnet and across London – because of his passion for privatisation which got him far too closely connected to AssetCo, the near bust and badly run owner of London’s fire engines. Coleman himself was a large dinosaur when it came to the net – he needed young Tories and officials to tell him how to operate a computer – so he didn’t realise what was coming. Coleman is one of the first councillors to be thrown out following bad coverage on the net. The very ” armchair auditors” that David Cameron and Eric Pickles are keen to promote – came out and devoured their protegé on the London Assembly. Grant Shapps, the computer savvy local government minister, should be proud to see people held to account in this new way. If the Tories believe in real democracy the one decision Boris Johnson should take is not to use his power to re-instate Coleman as an appointed councillor in any way to the London Assembly. The people of Barnet and Camden have spoken. London Investigative blogger and journo, Adam Bienkov has a brilliant tale today which sums up everything about Tory London fire brigade chairman, Brian Coleman, you need to know. Read it full here (http://bit.ly/JVuGw7 ). Fire Brigade museum which he is threatening to close. As Adam writes: “Guests included the Tory head of the Local Government Association Sir Merrick Cockell, Tory London Assembly Member Richard Tracey, Brian Coleman himself and another Mayoral appointee. Needless to say he has said nothing apart from disclosing he did not ask how much the bill was and saying Labour members of the authority who rightly refused to join this extravaganza should have attended. All this from a man who has run up huge taxi bills on the taxpayer , taken hospitality and an expensive Christmas hamper from John Shannon, the now sacked boss of the privatised fire company, AssetCo. This is while attacking firefighters pensions and working conditions and arrogantly refusing to engage with the electorate or even attend hustings during the election campaign. Need I say more. Yet more extraordinary scenes involving Brian Coleman are reported by the Barnet Press (http://ow.ly/aCVrT) – caught on CCTV haranging a sweet shop owner over the local council’s controversial parking scheme. Mr Coleman went down a parade of shops demanding posters were removed. However, she said she felt she had no choice but to take it down the poster. 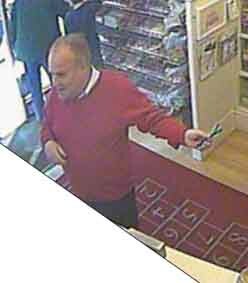 Michael Kentish, owner of sweet shop Hopscotch also received a visit from Mr Coleman. His CCTV caught the scenes. Frankly after all the rows over his huge expenses and free gifts, the botched privatisation of London fire brigade, attacking single parents, you would think a Tory seeking re-election would not start a row with local shopkeepers- core Tory voters. You’d also think that making parking really difficult would not endear him to Barnet Tories either. 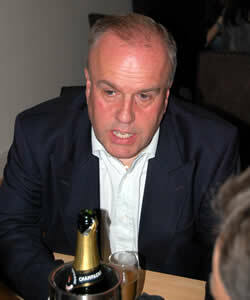 Does he really want to be sacked by the electors of Camden and Barnet tomorrow? Perhaps I have missed his secret agenda- he wants a life outside politics. Mr Coleman has refused to comment to the press.